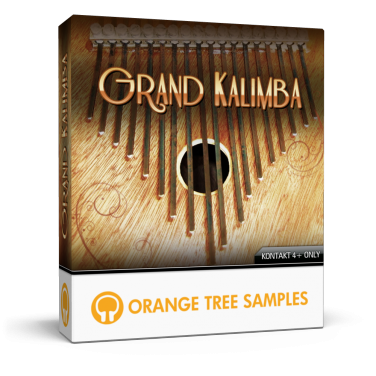 Grand Kalimba™ is everything its name implies. It has three octaves of tines, giving you a large note range--most kalimbas have between 11 and 17 tines, but the Grand Kalimba has 37! 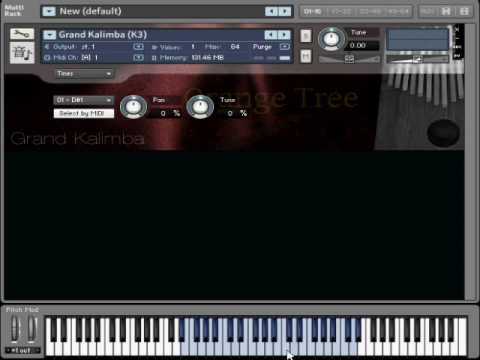 Behind the meticulously sampled kalimba is a powerful Kontakt interface, giving you complete control over the tone and performance of the instrument. The interface includes controls for microtonal composing, by allowing you to fine-tune the individual tines. You can even switch between a piano-style note layout and a kalimba note layout. You can also enable a double-tracked kalimba tone with a single button. This product requires a total of 1.09 GB of free disk space in order to download and install the sample library. The total size of the download is 233 MB, and after installed the library occupies 886 MB.